We were very scientific in deciding that these were the best. 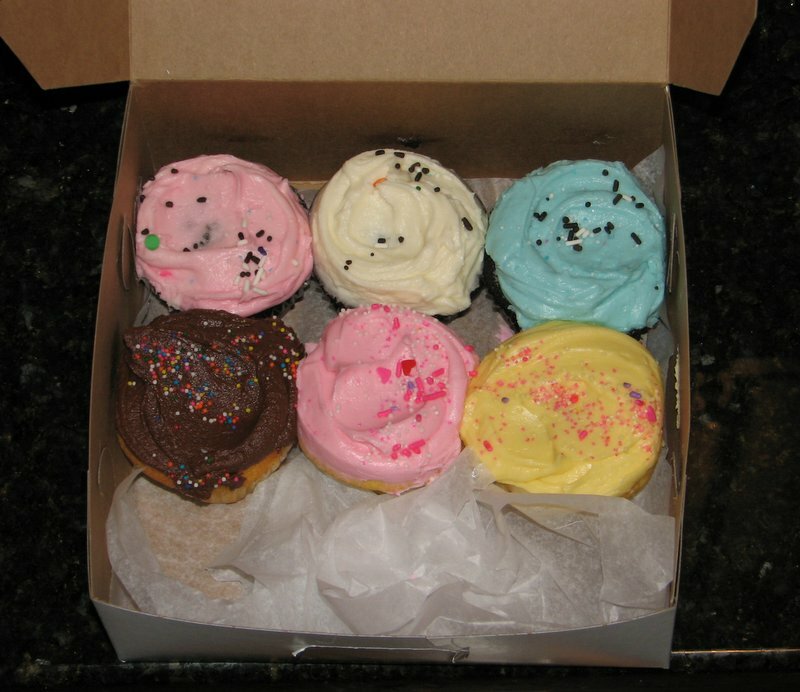 A few months before our wedding, we spent a Friday night driving to 4 different cupcake bakeries in Manhattan–Magnolia, Cupcake Cafe, SSS, and Buttercup Bake Shop–to buy cupcakes and compare. Adam made up a score sheet, and that night at home we ate and rated. These had the best frosting, the moistest cake, and were the most delicious overall. I don’t remember exactly what the categories were on the score sheet, it’s in the attic somewhere. But it was a sweep across the board, and we’ve been fans ever since. Some of our wedding guests still comment on these.